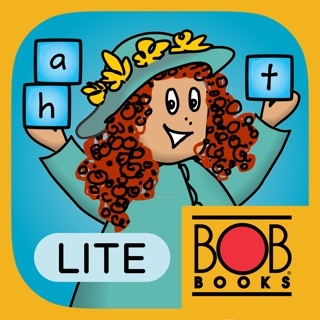 Learn to read with fun alphabet books kids can read and record all by themselves. 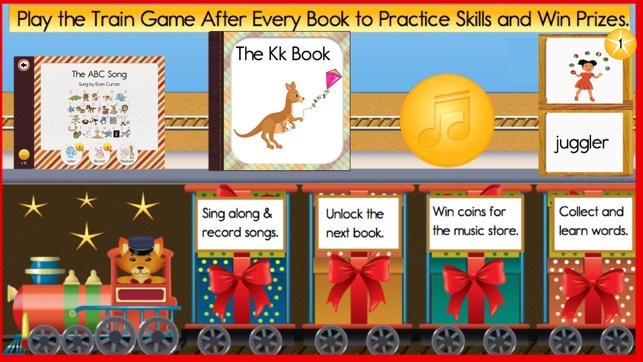 Play the train game; win coins for the music store; collect and learn new words in the train yard. Enjoy Books A, B and C, 20 song books, train game quizzes and the picture/audio dictionary for FREE. 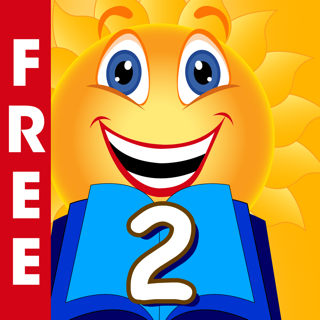 In app purchase unlocks all 24 ABC books at 3 easy beginning reading levels: 72 books in all! Books, songs and games to build skills, self confidence and a love of reading. Real reading, for fun and information, right from the start. Kid tested and teacher approved. We are ad-free and take our users privacy seriously. 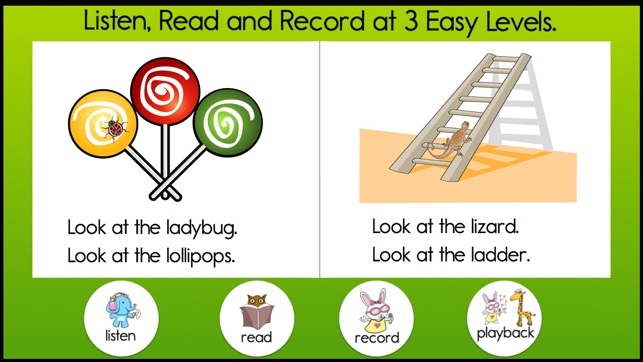 * Listen, read and record books at 3 different beginning reading levels to grow as a reader. * Professional narration- American English. All books can be recorded by users. Written by Libby Curran, a People Magazine Teacher of the Year, these engaging little books are field tested in real classrooms to get kids started on the path to reading independence. Books Kids LOVE to Read and Re-read. Children are naturally curious, so encourage them to explore our ABC books to learn new vocabulary and build the foundational knowledge they need to succeed in school. After reading stories they can play the train quiz game, explore the picture/audio dictionary and listen to song books. Give Your Kids the Tools to Succeed. Stuck on a word? Tap and hold to hear every word and access the built in audio dictionary filled with hundreds of words. 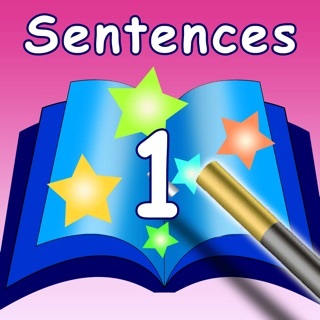 Play a unique quiz game at the end of every book to extend the learning. The Reading Train Alphabet is packed full of tools to help children succeed, all on their own. Read beginning level books with purpose and understanding. Develop the concepts of print: reading left to right and matching written words with spoken words. Learn letter names and sounds, build background knowledge and improve reading comprehension and foundational skills. 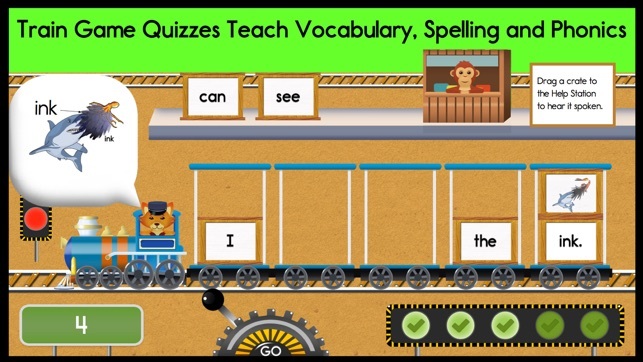 Play the train game after finishing every book, but don't tell them it's a quiz! Check progress on the parent's page which shows books read and recorded and detailed scores on the quizzes. 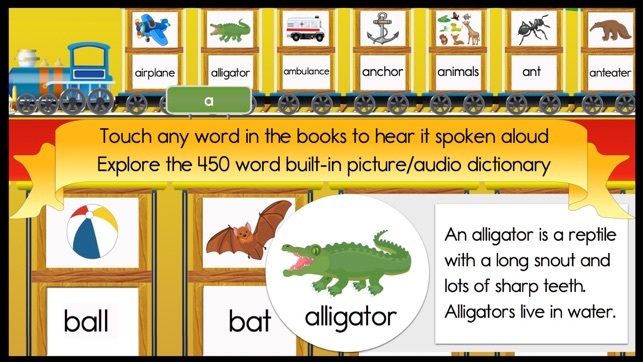 Created by award winning master teacher and early literacy expert, Libby Curran, Reading Train apps are the culmination of 20+ years of teaching experience. Backed by an all-star team of teachers turned iOS developers and a professional children's musician, The Reading Train is serious about making learning fun. Small bug fixes and UI improvements. the fun and educational songs. Libby and Evan Curry have created and provided kids of all ages with a TREASURE for learning to read!!! 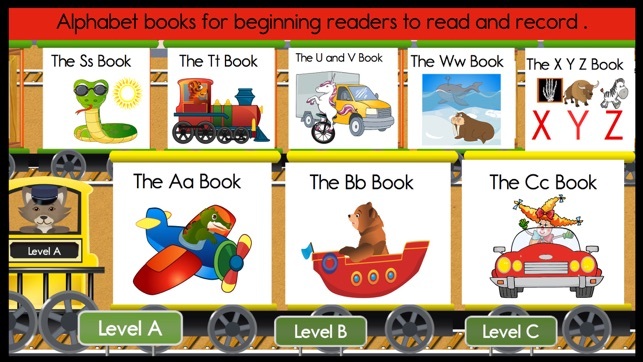 Please download NOW and let your child begin their journey on the Reading Train!!! You will be amazed at how fast they will progress!! At age 5 now, my son never tires or gets bored from the app because it offers new books and songs to keep him wanting to play it everyday!! This is a wonderful app. You get the first 3 books for free, along with the song books and the dictionary. I work with 5 and 6 year olds and they were so excited to be reading the books right away. They particularly enjoy recording their own voices and I can listen later to see how they are progressing. 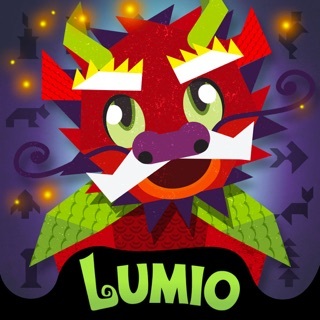 The in app purchase is really good value. You get another 20 books and each book has 3 levels so this will last my kids a good long time. Highly recommend to teachers and parents of young readers.